Developing fully-capped delts is a matter of training all three heads. Some young bodybuilders have access to expert help when they first learn how to weight train—an experienced training partner, for example, or a qualified personal trainer. This is a great advantage, providing the "expert" involved is genuinely knowledgeable. However, the world is full of people who claim qualifications they don't actually have, so it's always a case of "buyer beware".. But ultimately every bodybuilder is responsible for learning how best to train and diet in order to make the most of their genetic potential. And one of the most important aspects in becoming an expert at training is developing an understanding of what the muscles do, how the body works and mastering the mechanics of each exercise. Take shoulders, for example. The shoulder joint is the most mobile (and most vulnerable) joint in the body, being able to rotate the arm through a full 360 degrees. The movement of this joint is controlled by the deltoids, of which there are three muscles—the front (anterior), side (middle) and rear (posterior) deltoids, or delts. 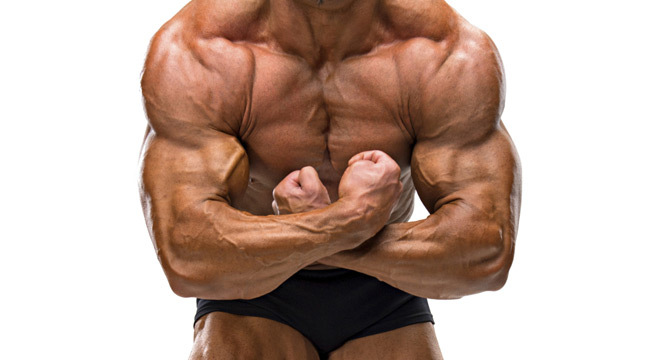 These muscles, working individually and in combination, have one basic function: they lift the arm. Every progressive resistance exercise for the shoulders involves lifting the arm. But although the result is a lifting of the arm, the actual action involved is rotation of the shoulder joint. With few exceptions, all movements are the result of the rotary movements of one or more joints. When you know which joints are involved and what they're doing, you will be able to understand the mechanics of individual exercises and how to do them correctly. 1. Presses - in which the arms are lifted using a combination of the shoulder and elbow joints. 2. Raises - in which the arms are lifting out to the side using only the motion of the shoulder joint itself. Presses are "compound" exercises, since they use more than one joint—the triceps as well as the deltoids. You can use more weight doing presses because you have a leverage advantage and more muscle is involved, so they tend to be better for building maximum mass and strength. Raises, or "laterals", are isolation exercises, as they involve only the shoulder joint and no other muscles than the deltoids. Laterals are excellent for working and shaping the individual heads of the deltoids and can be done (more or less) to the front, side and rear to stress specific areas of the shoulder muscles. The following are some examples of the different kinds of shoulder exercises, and suggestions as to how to do them most effectively. There are additional alternatives but these descriptions cover the basics. Just remember, no matter the particular movement, try to be conscious of what the shoulder joint is doing, concentrate on feeling the rotation involved and keep the exercises mechanically correct to avoid limiting the effectiveness of your shoulder training. It takes a certain amount of skill to isolate the deltoids as a group and even more technique to target individual deltoid heads.